Malcolm Turnbull’s Government will contribute $9.5 million towards the Gore Hill Sport and Recreation Facility. Gore Hill Park will provide local families with new and much needed sporting and recreational facilities as well as improving the amenity of the local precinct. There will be an initial reshaping and extension of parkland, including cycle ways and pedestrian paths linking Royal North Shore Hospital, TAFE and Gore Hill Technology Park to St Leonards Station. 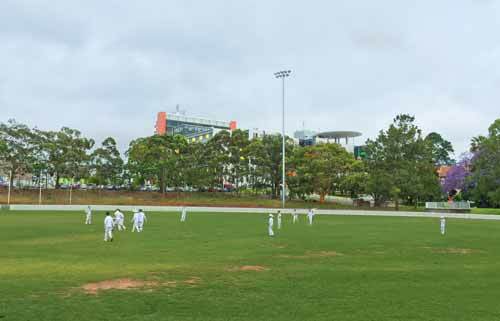 Further redevelopment will include the conversion of the turf oval to a synthetic playing surface to increase capacity for AFL, cricket and other sports. The final stage will be the construction of a multi-purpose indoor sporting facility that will include internal courts for basketball, netball, futsal and badminton. This project will be a major boost for netball and women’s sport in our area. I am grateful for Trent Zimmerman’s long standing commitment to working with sporting organisations.